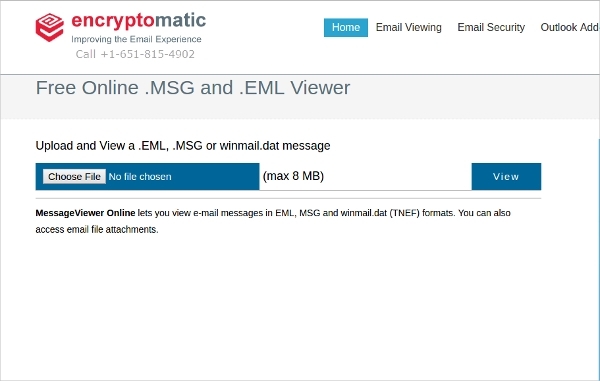 We can save a message which comes to our e-mail as EML file. The EML file consists of the entire mail in text format and also the attachment. 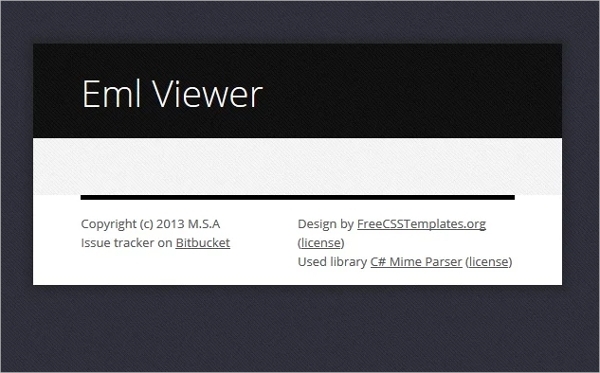 We need a viewer to view the EML file. We evaluate the 6+ Best EML Viewers so that you can read and then evaluate the best ones for your usage. The EML viewer is available as an online tool. There are free software available for download. This is an online viewer software and it is free too. We need to just upload the EML file and it will display the message content. It supports files of 8 MB size. It is very easy and simple to use this tool and you can access the attachments too. This is a tool which works with Chrome browser and it supports many types of devices. It works with Google drive that means you can view the EML files on Google drive. It is very simple and easy to use EML Viewer. It is available for download in the Chrome store. This is a freeware and an amazing EML file viewer. You can read the message and then save it back with or without the attachment. It allows us to search through numerous EML files and extract all the needed e-mail addresses in a listed view. We can print the messages too. 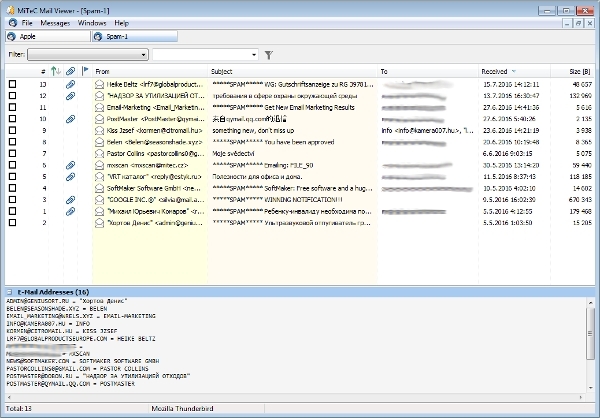 It is a free EML tool which allows you to open, read and search the EML email messages. It does not require the installation of the additional mail client. It has a simple and Windows-like interface for working on the software. It has built in viewer to view the attachments. 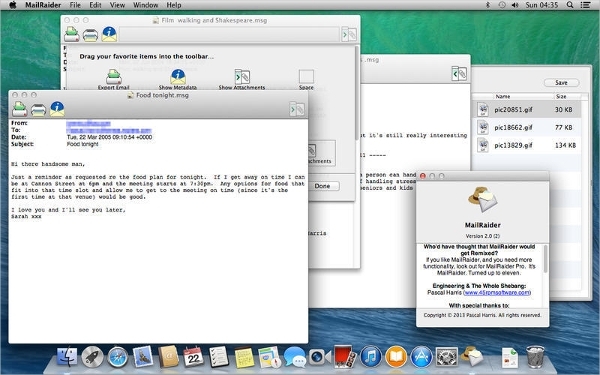 EML Viewer is required on all platforms which are used by the users to read mail like Windows, Mac, and Linux. We will review two software below which runs on any of the platforms above. This helps the user to be able to use the platform of their choice and not bounded by the software. This product is available on the Mac platform and comes at a price of approximately five dollars. 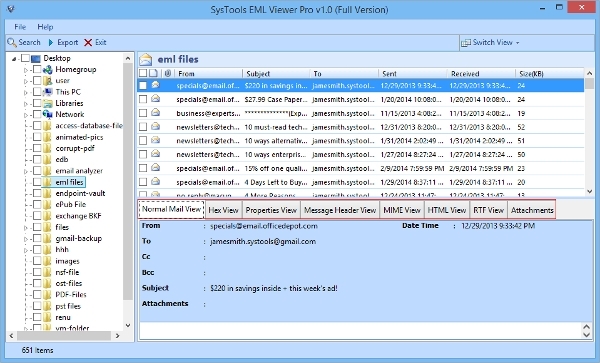 It is an EML viewer which works independently and does not require any other mail client. It has support for 64 Bit Systems. 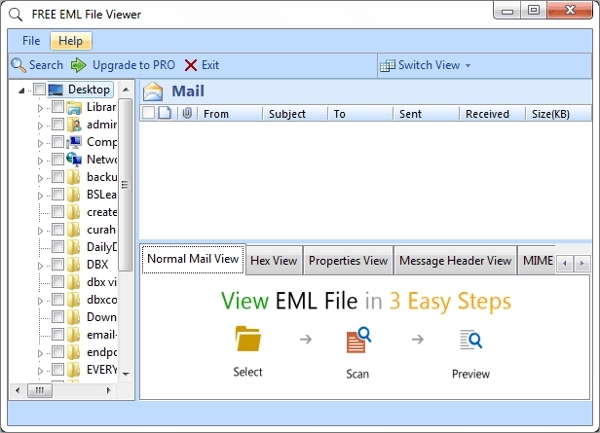 This is a free EML viewer tool from Nucleus Technologies and allows users to view the EML files without any Outlook or mail client installed. It supports all version of Outlook i.e. 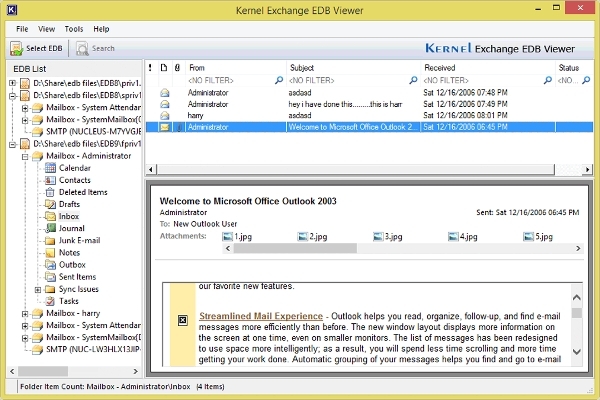 EML files created from any version of Outlook can be read by this tool. It has easy to use and graphical interface. It has the powerful functionality to read the files and search through various files. It can search through the folders. It can remove the attachments from the body. It works quite quickly .We have reviewed the 6+ EML viewer software above. You can use any one described above for reading the EML files. You may download and evaluate it for your satisfaction and based on that use the one you like the best.